Lip Balm just got Crease-Less! Mumbai, 6th May 2014: Your office stylist Lakmé 9to 5 brings to you yet another reason to smile all day long with its new Crease-Less lip balm. 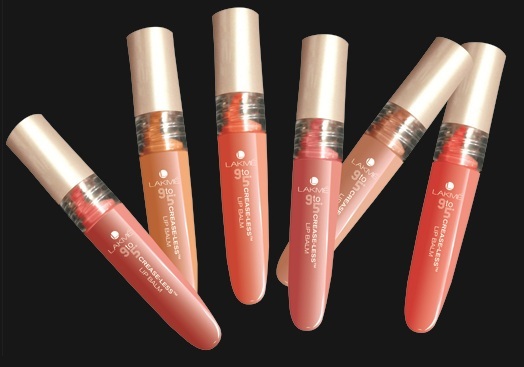 This new addition to the Lakmé 9to5 range comes with a creamy texture and a hint of color to protect your lips. A one stroke application of this crease-less lip balm makes your lips luscious and smooth. The lip balm contains Olive oil, Jojoba oil and Vitamin E elements that add to the nourishment of your lips. The lip balm also comes with SPF 15 which adds a finishing touch to a perfectly, beautiful and protective balm. So complete your office-styling kit with Lakmé 9to5’s new addition!